Do you want to build your skills in working with children and families? Do you want to focus on clinical outcomes and not paperwork? We are seeking a child psychologist who is passionate about working with kids and teens with autism spectrum disorder. We are a a family-focused practice with lots of opportunities for collaboration and shared work. We offer families a unique wrap-around service. Contracting fees or salary are well above the industry standard with professional development funds available. 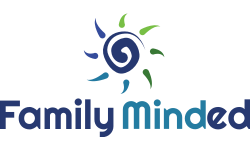 Family Minded is a child and family psychology practice in Sunbury, Victoria (just 15 mins from Melbourne Airport) providing a high quality clinical service to children, young people, and their families in the Sunbury and Macedon Ranges areas. We are a highly sought after service with a strong local reputation for friendly, family-focussed support and clinical expertise across a range of clinical presentations. Family Minded provides support to families experiencing a range of difficulties including anxiety, behaviour difficulties, ADHD, depression, challenging behaviours, autism spectrum disorder (including assessment and HCWA/NDIS interventions). We see a diverse range of clinical presentations and clinician development of specialisation in areas of expertise and interest is supported. The position is very flexible and could be part-time or subcontracting with a full time position available for the right applicant. Funding to complete formal ADOS training is also available for the right clinician. Demonstrated experience in engaging and working effectively with children/adolescents who are on the Autism spectrum, particulary HFA. Demonstrated experience in both assessment and intervention in an autism spectrum setting. If you would like more information, please call or email Katherine for a chat about the role or our services. Applications must address Essential skills criteria and include a cover letter.